Before realizing the dream to buy a top-class supercar from Ferrari, like LaFerrari, it's good for you to try first this Ferrari's entry-level supercar so as not too surprised with the power and the sophistication of features are offered on the premium-class car. 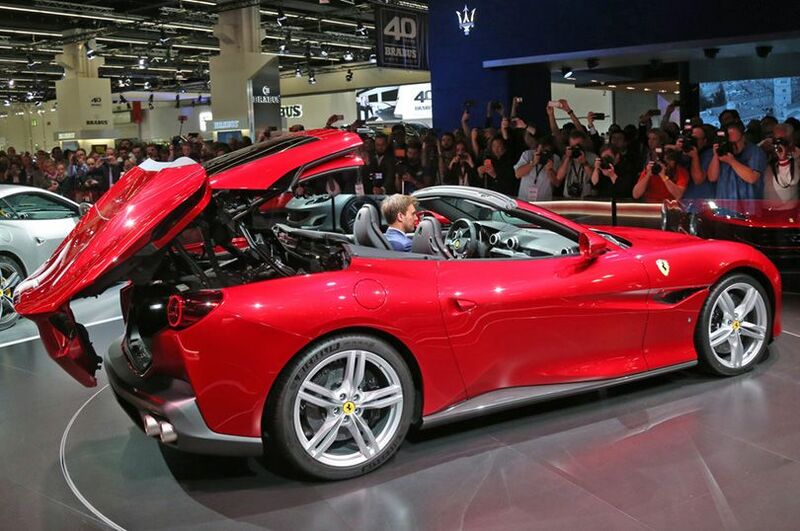 To meet the needs of the entry-level supercar, the prancing horse logoed auto manufacturer recently has been launched the Ferrari Portofino and also shown it for the first time at the Frankfurt Motor Show 2017. The name of this car is taken from a small town in Italy that is famous for its elegant and exclusive and became the cheapest of all variants offered by these Italian luxury car factory. The presence of this Portofino to replace the California series, the first Ferrari cars sold at "affordable price" and introduced since 2008 and closed with the California T (2014-2017). Before we discuss the Portofino further, it's good to know what are the mean of an entry-level and cheaper supercar (of course by Ferrari standards). 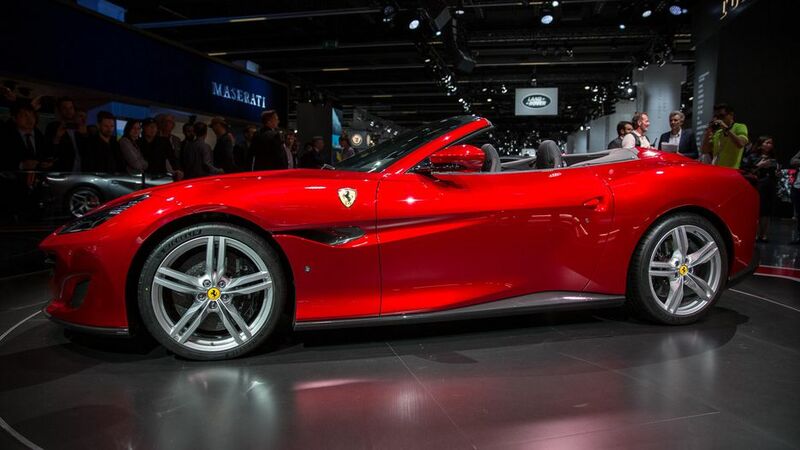 Ferrari Portofino sold at a price of €196,000 (Rp. 3.09 billion). This price numbers is quite cheap compared to the price of a standard LaFerrari which reached US. $1.5 million (Rp. 19.8 billion), even there's a special edition supercar that been sold at an auction event at the price of US. $7 million. 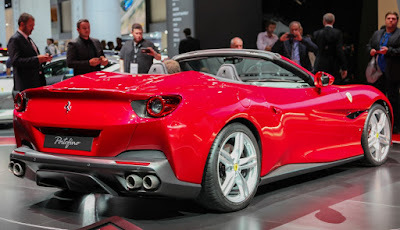 Once again, the Portofino is not a cheap car but lowest price supercar. These hard-top convertible supercar made the same as the California that uses a 3,900 cc twin-turbocharged V8 engine placed in front. However, the the power produced has been increased by 38 hp to 591 hp at 7,500 rpm with maximum torque of 760.6 Nm at 3000-5.250 rpm. And the power of grand touring sport car is channeled to the rear wheels through a 7-speed dual-clutch transmission system that is connected with the Ferrari's 3rd generation E-Diff. Thus Portofino claimed able to accelerated from rest to 100 kph in 3.5 seconds and can reach 200 kph in just 10.8 seconds. The maximum speed of this car is limited to 320 kph. That's not bad for an entry-level supercar, isn't? As for the fuel consumption is quite economical for the supercar class, which is claimed to reach 10.7 liters for every 100 km. Body design is not too different from California T, just polished a little to make its appearance more beautiful. One of them, the headlights are changed from vertical to horizontal so it looks more manly and aggressive. In the interior is also not much different. The dashboard is similar to California though there are a few different designs on the bottom. There are a smaller heater, ventilation duct and air conditioning (HVAC), while the infotainment screen is enlarged to a size of 10.2 inches. Two front seats can be adjusted up to 18 ways to ensure driver and passenger comfort. 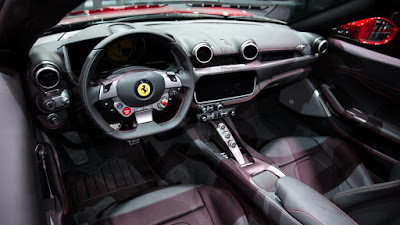 The rear seats comfort, though are rarely used by Ferrari users, remain to be considered by giving a small screen to set the infotainment system. 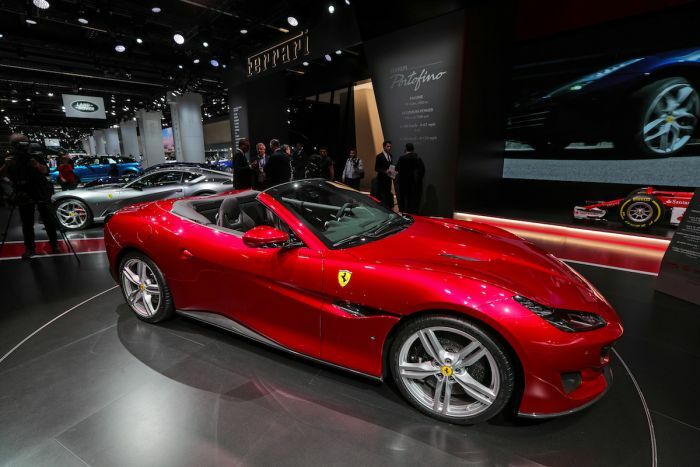 Ferrari Portofino has been sold in Europe since the first quarter of 2018, then entered the US in the summer. The sales figures, as citing of Bloomberg, are targeting to reach 3,200 units in the first year, up 40 percent of California T sales this year.